Are ya still with me? Or are you getting bored with these Carmel shots? Since I started this little blog, the idea has been to share photos from different places each day, which I have (mostly) done. So this week has been a departure, since it has become "all Carmel, all the time". So, in keeping with this week's Carmel theme, here's another one (or two actually!)! The Lone Cypress sits on a rocky outcrop along the rugged and beautiful northern California coast, just about a mile north of Carmel, CA. To access the area, you have to enter The 17 Mile Drive, which is fabulous anyways and worth the $10 or so you spend to get in. Essentially, you are entering the private realm of Pebble Beach, hence the entry fee. 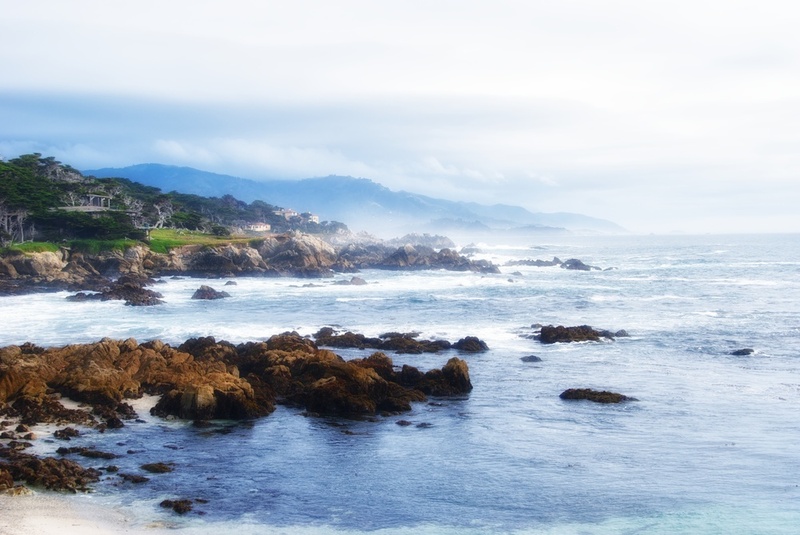 I recommend entering from the Carmel side (there is a Carmel Gate) because that puts you just a stone’s throw from Pebble Beach, The Lone Cypress, and the long beautiful stretch of road which hugs the coastline. There is another entry point in Monterey, but it puts you at the other end of The 17 Mile Drive and you wind through the forest for a while before you get any sight of the ocean. I am speaking from experience because we were coming from Monterey and entered the wrong end. So, take my advice. It will save you time and get you to the beautiful parts more quickly! Hope you like these, and thanks for stopping by! More Carmel stuff tomorrow (heehee)!